My sinuses had me under last week. I've been miserable in between still trying to maintain my normal duties. I took to my idea catalog and came across a get well card. I heard so many 'get well' thoughts that I had to make these cute cards. The box is a file purchased from the Silhouette Store. It took me 45 minutes to reconstruct it so it wasn't sticking too far off the card. I love how they turned out. I am having fun over at Scraps of Color. So many of us were glued to our TVs watching Empire, week after week. The talented Robert Jackson, decided it didn't have to end. Each week, we receive a character from the show, if we completed the previous week. Here are my first 3 entries. 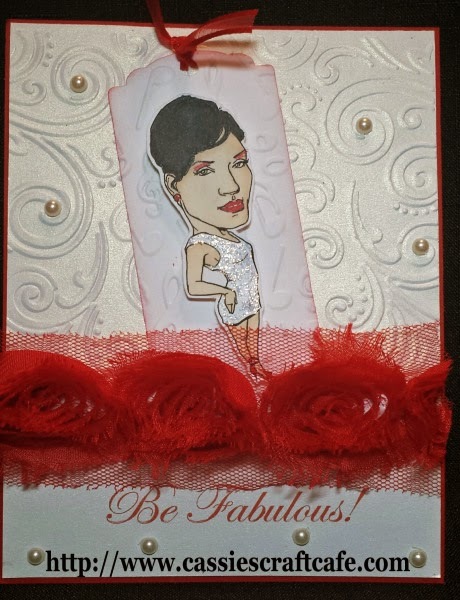 Challenge #1 Anika - Red lips a must and card should be elegant with some pearls or diamonds. 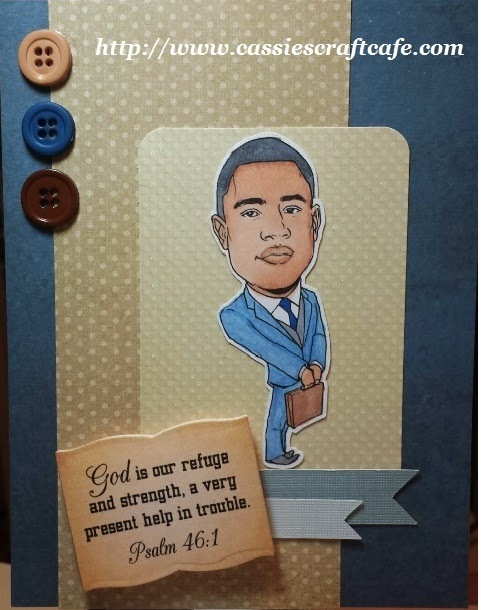 Challenge #2 Andre - Must use a die cut and use an inspirational or encouraging sentiment on the front of the project. 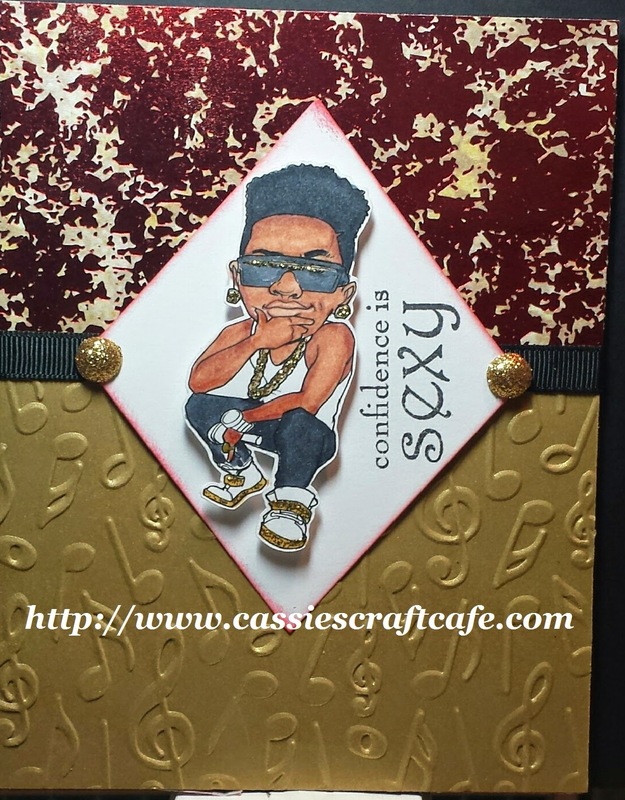 Challenge #3 Hakeem - Must have some gold and some form of a music note rather a die cut or patterned paper.